You may be surprised to hear that the hottest trio to come out of Europe is not European at all. 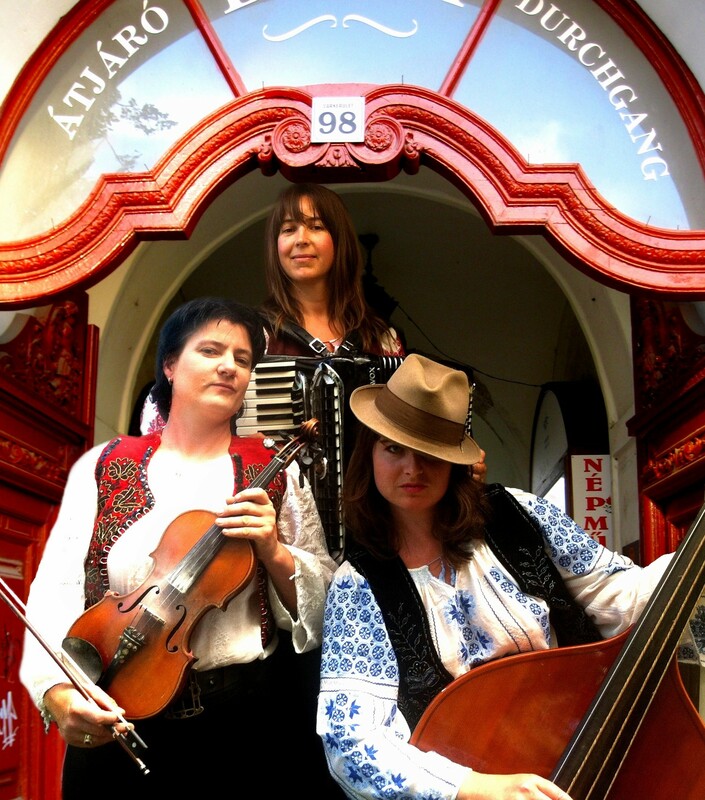 Melbourne based band Vardos is made up of three wild women who have traveled the world to learn the secrets behind traditional gypsy music, and will share the energy of their adventures this January in their Tassie gigs. The band have toured around Hungary, Romania, Berlin, Amsterdam, Switzerland, New Caledonia, London, Scotland and New Zealand, and featured in a plethora of recordings, events, and television shows. Classical pianist-turned-piano accordionist/ playwright Sofia Chapman gives us a unique insight into what life is really like as a travelling gypsy. STEPH: What qualifies as a fully-fledged gypsy? SOFIA: Gypsies are believed to be descended from people who came west from India in the 14th Century and settled in Europe in the 14th Century. There are still large populations in Eastern Europe but also in Britain where they are known as travelers and don’t necessarily resemble their Indian ancestors yet still keep certain traditions and practices alive. SE: Tell me a bit about your experiences learning with gypsy musicians in Europe. SC: Sometimes we stayed with our teachers in their houses in villages with chickens running around the yard, and after the lesson their other family members would come and join in and play for hours. Overall, our main problem when visiting and staying with the Roma people was being overfed. Sometimes we were in pain from trying to be polite and eating all we were given. SE: Why did you decide to set aside your classical piano roots and roam free with piano accordion? SC: I was always inspired by composers such as Liszt and Chopin who made me curious about traveling to Eastern Europe. Once I started performing with the piano, I was at the mercy of whatever piano was at the venue unless I started lugging a keyboard around. The accordion seemed the perfect solution, and with my bits and pieces packed into my accordion case I set off knowing I could make my living wherever I went – as long as I could outrun the police. SE: Do you find that sense of classical discipline occasionally finds its way into your music? SC: There has been so much discipline involved with learning in Eastern Europe. I’ve worked equally as hard there as I did when studying piano. The action of the accordion keys isn’t as tough as that of the piano though, and I often practice tricky accordion bits on the piano as well to improve my chops, especially when preparing for recording. In Romania learning from Romany musicians, one teacher wouldn’t let me transcribe or record the music, and if I couldn’t play it exactly as I had been taught it the next day when I came back he wouldn’t teach me anything else. I would retain as much as I could, then madly scribble it down on the metro on the way home, including the ornamentation. For this reason learning how to transcribe music has been extremely helpful. SE: Immersing yourself in the world of arts as both a playwright and musician, through which outlet are you most able to express yourself? SC: I write about my experiences but transform myself into other characters to do so. I’m happiest writing musicals, like The Four Accordionists of the Apocalypse for which I won the Best Emerging Writer Award last year at the Melbourne Fringe. It’s great to express oneself musically, and in Vardos, it’s pretty theatrical anyway, with all the drama inherent in the music being played out without words. I feel like I always need to play music. For all of us [in Vardos], playing music is our best way of earning a living and although I have had grants for my plays, they have been relatively short seasons in smallish theatres and so not big money spinners. SE: As a Tasmanian born Melbournian, how do you feel about returning to your home town for your upcoming gigs? SC: In the past few years, I’ve been mainly visiting for family and holidays, so it’s wonderful to be performing again in Tasmania and sharing what we’ve learnt as well as experiencing local performers while we’re here. I still think of myself as Tasmanian, but I suppose I’m Melbournian – can I be both? We love visiting art galleries while we’re on tour so it’s great to be playing at MONA. I’m also looking forward to showing Kirri Launceston and the gorge with the peacocks and chair lift, as she hasn’t been there before. SE: How do you feel traditional gypsy folk music fits into the modern musical world? SC: Elements of Romany music creep into so many genres now – you can hear Balkan brass riffs in hip hop, for example. Similarly, Eastern European and Romany musicians are playing in many genres themselves and achieving much success. In Europe, the ‘turbofolk’ style has taken off and our teachers would sometimes take us to nonstop Romanian bars where music was played on keyboard and saxophone with tacky but infectious beats. SE: Do you feel that gypsy spirit in other aspects of your life? SC: One thing we’ve learned without exactly being taught it is that bravado of convincing the audience you’re the best and even convincing yourself that you can achieve whatever you want. Gypsies have had to be very resourceful and that’s an important trait for musicians with fluctuating incomes. I guess the Gypsies’ rebel attitude and optimism have rubbed off on us, too. We also appreciate the value of having chickens – although we only eat the eggs. Get your gypsy on with Vardos at MONA on January 2, Salamanca Courtyard and Launceston’s Fresh on Charles on January 3, and The Homestead in Hobart on January 4.